Most people in this debate have only one thing to say. “It’s just a name”. You’ve either said it or heard it said. But the truth is: no it isn’t. “University of Lagos” as a name and as a name only, is an asset. Take a minute to think about your current business or earning activity, and consider how much more money you can realise or how much more influence you can generate by adding the phrase “University of Lagos” to it. Some examples: University of Lagos Communications, University of Lagos Transport, University of Lagos Financial Services, the list goes on. That phrase is an asset as solid as a plot of land—if not more—and can be factored into the books of a business. Please, ignore the substance behind the name whether relating to the quality of education or otherwise—I give no guarantee that Unilag students are the best—after all, there is no guarantee that Dangote’s sons have the business acumen as their father or that Obasanjo’s children are savvy politicians—yet when you hear the name, you accord them with the same treatment as their parents—until proven otherwise. Goodluck Jonathan or his advisers ignored the existence of the asset “University of Lagos”, an asset that works for not just the students of the school, but for Nigeria as a whole, and simple declared it out of existence. No good businessman destroys an asset wilfully. And that’s why the idea of renaming Unilag, smells, well, somewhat funny. None. None at all. See, there are several sectors in any given society: Agriculture, Education, Sports, Health, Finance and so on. Unilag falls within the education sector. There is no real reason why the education sector is more important than any of the others in honouring any particular person. Therefore in choosing a sector, a careful decision maker chooses the most appropriate sector for that person. Several observers have pointed out that Sports sector is more appropriate. Other observers have also pointed out that MKO Abiola has no defined connecting factor with the University of Lagos either as a founder of the school, a Vice Chancellor, a patron, an alumni or even an indigene of the host state. instead, the choice of Unilag seems to be a random casting of lots. The President woke up one fine morning, and did a meeny-meeny-miney-mo and landed on Unilag. Hey presto! A careful policy maker ensures that there will be at least one factor grounded in objective reality that connects an honour with the person being honoured. Or as Prof Soyinka states, the “honour” is a gift horse that must be looked in the mouth. In his lifetime, MKO rejected several attempts to be “honoured” in exchange for his mandate. President Jonathan is only resurrecting those previous attempts in a bid to dumb down the mandate. There is no true Abiola loyalist, of whom I am one, nor any person who understands the significance of Abiola’s fight, that would accept the sham honour as a true recognition of Abiola’s worth. The hypocrisy is even more glaring in the selection of Unilag as a safe compromise between the pro-Abiola factions and the anti-June 12 cabals. Unilag is expected to be a safe giveaway—a cheap acknowledgement of June 12. There is no specialness in naming a school after an individual anymore—from pastors to private businessmen, anyone can have a personalised school these days—and Jonathan hopes Abiola’s name will be lost in the multitude. Back in the 1960s and the 1980s when institutions were few and far between, a school might have been a special honour, but today the idea is laughable. Instead, the pro-Abiola factions have mostly rejected the renaming of Unilag and urged the federal government to recognise the date June 12 as a national day, or assign a special national landmark in Abuja (one that cannot be copied by pastors and businessmen) to the glorification of Abiola. That will be a true honour. The president was calculating, but he wasn’t wise. A wiser President would rather do nothing than bestow a cheap gift and still expect accolades from the recipient. Let’s assume everything in 1 to 3 above is incorrect. I’ll give you that—the name “University of Lagos” is not an asset to anyone, MKO Abiola maybe even donated a billion naira to the school over the course of his life, perhaps MKO Abiola’s will stated that he desperately wanted Unilag to be renamed after him. Let’s assume I’m just a messed up writer trying to score cheap points by inventing theories. 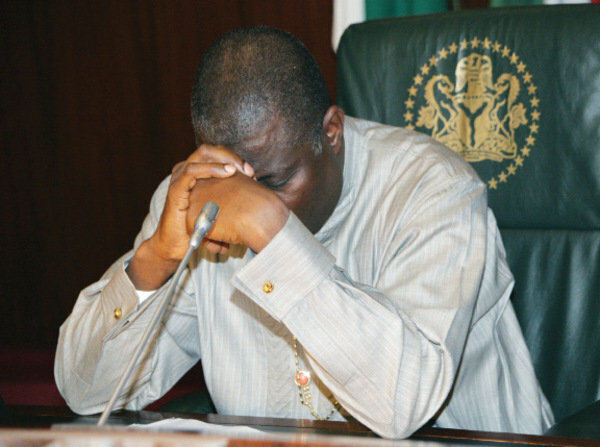 One fact remains: President Jonathan did not discuss with the relevant stakeholders. But then, Prof Okojie of the National Universities Commission has this to say: “Jonathan is the most engaging President, he is very accessible, I can tell you about that. Saying that he didn’t consult will not be the truth.” That’s very good to hear. So did he consult the Vice Chancellor? The man replied: “Is that the final level of consultation? Who is the proprietor of federal institutions? It is the federal Government of course. It is not at that level he will consult but they have been told.” So the vice chancellor was not consulted. The University Council—no, the Alumni—no, the Abiola family—no, the June 12 advocates—no, the President’s own party—no, the legislature—no, the students of the institution—no. Then who exactly did the President consult? Nigeria is currently a democracy; arbitrary name-changing was a hallmark of military rule and can no longer be tolerated. The President has to govern democratically in everything he does. As the proverb goes, the traveller who asks for directions seldom gets lost. 5. The President Is Not That Powerful—Nope! This is the part that may come across as a surprise to most Nigerians. Because we come from a history of military dictatorship and barrack-room mentality, and because we‘ve been used to the arbitrary powers of dictators, most folks assume that an elected president has wide sweeping powers and can do all things in respect of any entity in the country. Here’s the fact, people: No he can’t. it may be painful, but it’s the truth. Any secondary school Government student worth his salt will point out that the idea of separation of powers prevents the president from doing certain things—one of which is the full control of federal institutions that are created by law. Why? Because the president’s job itself is created by law. Both the President and the University of Lagos or any other federal institution derive their existence ultimately from the constitution. Even more relevant is the fact that sometimes, the only role a President can play in some institutions is ceremonial, for example, as “Visitor”. The President is not the boss of the institution—he may be appointed by law in some cases (e.g. EFCC) but he can only act within the role assigned to him by that law. Contrary to what most people think, the President is not the “owner” of any federal body set up by a law. The only “owner” or “boss” is the Nigerian people and they are represented by the National Assembly. Ultimately, whatever you think of points (1) to (4) above, whatever you think of the University of Lagos itself, whatever you think of my persuasions as writer or my intellect as a theoretician, President Jonathan has no legal power to change University of Lagos’ name. And that, my friends, is final. Tags: goodluck jonathan, mko abiola, nigeria, renaming unilag. Bookmark the permalink. @THE BOSS I understand why you will choose the ‘the boss’ as an alias. At heart, you are a gangster and you see every framework for exercising authority within the same prism. But you are wrong. I have worked in the public sector as an aide to a Commissioner and I know: Ministries and their custodians are not bosses of statute- created parastatals or other institutions like a university. It may be hard for you to understand (since all that most of know are military dictatorship, illegitimate and pretentious monarchies and GEJ-style presidencies).I can sympathize and pray that your children will somehow be guided to think differently. I think this “boss” has totally misunderstood the message or context of the writer’s article. The name “University of Lagos” bestows an aura of legitimacy on any product or service it may be associated with. Its called merchandising, I guess thats why the school has et up several flourishing businesses including: Unilag Konsult, Unilag Bakery, Unilag FM, Unilag Guest House, Unilag Estates and so on. The brand sells. (that means Fullstop). This issue isn’t about international brands that are “better”. For the sake of argument, I am disappointed that you didn’t include that long list of Better brands in your tirade. I guess you will need to argue with facts too. The concept of Democracy is centered around consultation. All stakeholders should be involved and included in the process. I’m sure you would be very pleased if your Local Government appeared at your doorstep unannounced to construct a gutter through your bedroom after ‘consulting’ with your landlord. Dividends of democracy. Very deep write-up,GEJ is a brainless idiot as far as I’m concern and doesn’t deserve to be the leader of this great country. Good piece, well written. You have made some valid points. gud write up unilag is a body on it’s own gej has no rite to change d name of d institution. Well written piece. I only hope the interest generated by this event will be focused on improving the quality of tutorship and education in Unilag and the education sector..